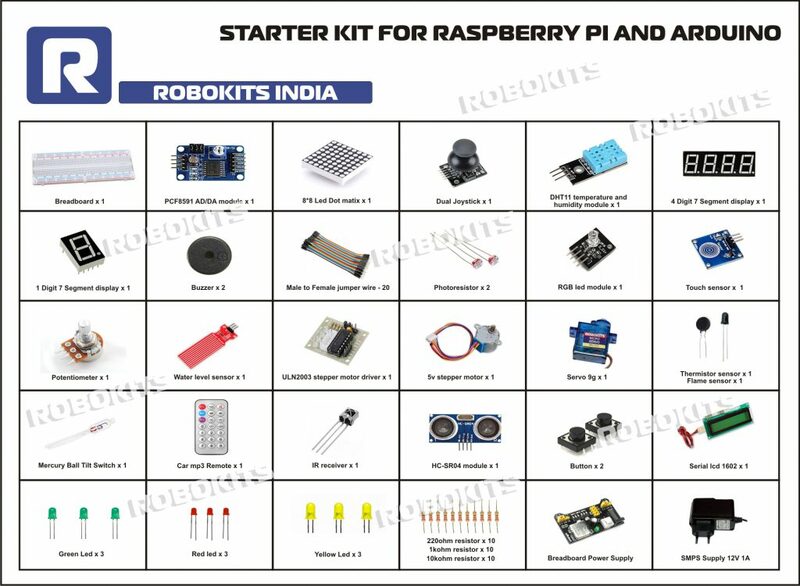 This is an all in one introductory kit for Raspberry Pi and Arduino. It includes all the necessary components required to conduct basics to complex experiments. All the experiments mentioned are explained in the cd provided. Projects for Raspberry Pi are conducted using C language with user friendly Wiring Pi library. The experiment folder can be easily downloaded using the Link provided in the manual. Projects for Arduino are conducted using the Arduino Ide. The projects included in the kit begins by blinking a led to gradually increasing the complexity by interfacing Sensors, LCD and servos. *Note: The kit does not include Raspberry pi or Arduino board.